The end of the month has snuck up on me once again. I'm excited that time is flying but I feel like I scheduled (and didn't quite finish) this post ages ago- can it be June already? That's a good thing, though, since my baby ticker informs me I have 113 (Arizona Summer) days to go. This Bruschetta from Ina is quick and easy for any of those- I made it with my brother and he even did all the slicing without any whining. If he can do it, you can. I adapted the recipe for the ingredients I had (goat cheese and mini bell peppers from Costco) but it's plenty flexible- use your favorite cheese or veggie for endless variations. See the other Barefoot Bloggers for more ideas. And next time I'll try these on the grill to keep the flavor in and the heat out- especially important as the temperature rises! Heat 2 tablespoons of olive oil in a medium saute pan over medium-high heat. Add the peppers and cook until soft, about 12 to 15 minutes. Sprinkle with the sugar and continue cooking for 2 more minutes. Stir in the capers and basil, and season, to taste, with salt and pepper. Set aside. Slice the baguette crosswise into 18 thin round slices. Brush the bread rounds lightly with olive oil on 1 side. Arrange them in rows, oil side up, on a sheet pan lined with parchment paper and toast in the oven until lightly browned, about 7 to 10 minutes. Top each toast round with a teaspoonful of the pepper mixture. Place 2 small pieces of Gorgonzola on top. Return the toast to the oven for 1 to 2 minutes and warm through. Serve immediately. Sometimes things are understated- words like "KitchenAid". To the unsuspecting eye, you might think of a nice little helper to wipe the counters behind you, not the kitchen appliance that will change the way you cook and make the kitchen your favorite room (what, that's just me?) Some things, though, are a serious understatement. Like any baked good that Ina Garten describes as "outrageous". Well we all love to laugh at the amount of butter in the beloved Contessa's recipes (and I'll stick up for Ina and say she's not nearly as bad as Paula Deen), even Ina admits a certain fondness for butter. So with that said, you know when Ina calls it outrageous, that you'd better watch out. And of course, she delivers. These brownies really were ridiculously delicious. I took the liberty of halving the recipe since I didn't feel right about actually using a pound of butter in a single dessert (except for my beloved Brioche Snails or Pecan Honey Sticky Buns). I omitted the coffee as usual and used my slacker large (not extra large) eggs. I baked them in a small, rectangular Pyrex and think any smaller dish would do (like an 8 by 8- it will just change the thickness a little, which is a matter of personal preference anyways). I did under bake them in my attempts not to over bake them per Ina's dire warning at the end of the recipe. Nonetheless, these tasted as good gooey as I imagine they do fully cooked. And next time I'll serve them with a little ice cream. Even Paula Deen would admit that's outrageous. Preheat oven to 350 degrees F. Grease and flour an 8 by 8 inch pan. Melt together the butter, 8 ounces chocolate chips, and unsweetened chocolate on top of a double boiler. Cool slightly. Stir together the eggs, vanilla and sugar. Stir in the warm chocolate mixture and cool to room temperature. Stir together 1/2 cup of the flour, baking powder and salt. Add to cooled chocolate mixture. Toss the walnuts and remaining 6 ounces of chocolate chips with 2 tablespoons of flour to coat. Then add to the chocolate batter. Pour into prepared pan. Bake for about 30 minutes, or until tester just comes out clean. Halfway through the baking, rap the pan against the oven shelf to allow air to escape from between the pan and the brownie dough. Do not over-bake! Cool thoroughly, refrigerate well and cut into squares. 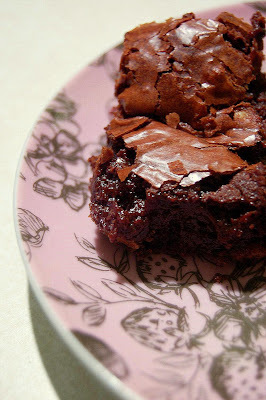 Don't forget to check out the rest of the Barefoot Bloggers' Outrageous Brownies. It'll have you busting out your double boiler (and our of your jeans, likely) in no time. Nestled away in this little dish and covered with deliciousness, these cookie topped brownies almost look like a success. But don't be deceived. After plenty of time in the kitchen, more butter than Paula Deen could stomach, and lots of tasty chocolate- these brownies go down in my TWD repertoire as a big fat (and delicious) failure. 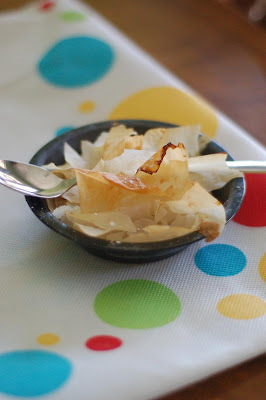 Since my brother got back from Greece, he's been begging me to make something with Phyllo dough. Anything. Well, anything except Spanakopita. You should hear him say it- it sounds like a curse. So when I found boxes of Phyllo dough for only a buck at Safeway, I knew it was time. I thawed the beast Alton Brown style (one minute in the microwave, thank you) and went to work. I'll admit there were a few casualties, but I'm not sure that it was the thawing or my total inexperience. While the final product isn't exactly Greek (sorry Bro) the taste of apples and butter is definitely one of my favorites. I know there's butter in the pastry, but there's hardly any added to the dish, and it just tasted SO good. I'm thinking of making a big version of these cute little minis. It's tender, flavorful, and doesn't even require ice cream on the side. Though I'm sure not even the Greeks would mind a little scoop of vanilla. Peel, core, and slice the apples as you would for apple pie. Place in glass bowl with cinnamon and water, cover with saran wrap, and microwave for five minutes. Carefully remove plastic and stir in sugar. Set aside. 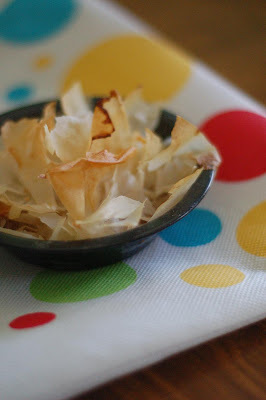 Cut phyllo sheets into quarters and brush pie pans with a little butter. Layer one piece of pastry at a time, then brush on a bit of butter, and put in another piece at a slight angle, repeating until you've made it around the circle (about four pieces per dish- more if you'd like the crust thicker). Place 1/4 cup of apple mixture inside each prepared pie dish. Pull the pastry sheets together toward the center, pinching and tucking until it looks about right. Drizzle a tiny bit of butter on top. Place on baking sheet and bake until golden brown, about 20 minutes. Serve sprinkled with powdered sugar or with ice cream. I skipped the raisins in favor of walnuts. 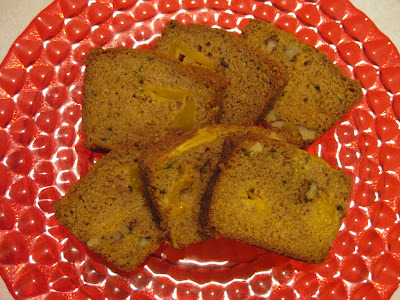 The one run in I had with the recipe was my stingy mango- it only gave me half the fruit the recipe called for. I just ended up halving the recipe and baking it in a smaller pan. It worked great and was delicious. I did have to tent the cake to keep it from over browning but it was yummy and quick and a recipe I'll come back to (though probably with a little less ginger and some different fruits- apple maybe next time?) Thanks Kelly for a fun choice that everyone loved. 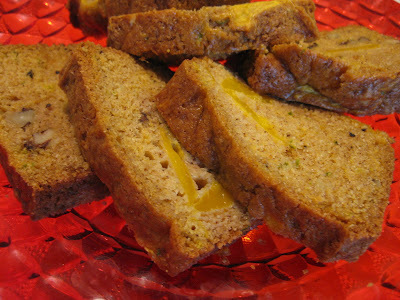 Stop by her blog for the recipe and enjoy! This would have been the perfect Mother's Day dessert. Before that (I love having all the recipes for Tuesdays with Dorie announced early) it would have been the perfect dinner party dessert. However, misreading the instructions (What's that, Dorie, you said partially baked tart crust? I followed your hints and cooked this thing until it was nice and golden brown...) and using my son's naptime on Sunday to nap myself prevented me from making these for either of those events. 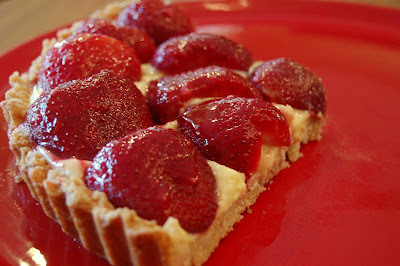 Instead, I found myself Monday night making this tart in the few minutes I had before my husband got home from work. Since we've gotten into our first real house of our own, my baking even seems to be dictated by the on peak/off peak hours for the electricity (my Dad would be so bugged to know I never learned these things while I was in his house). So instead of making the time and electricity intensive crust (I don't mind the process at all, I love making tart shells now), I opted to make this beautiful tart into crustless ramekins. I followed the advice to remove the pith but just peeling the lemon with a vegetable peeler to remove the zest in big strips, then peeling the lemon like an orange (discard the pith), removing the seeds and throwing it all into the food processor. I was shocked at how quickly this came together- a few minutes pulverizing and it was smooth and delicious. 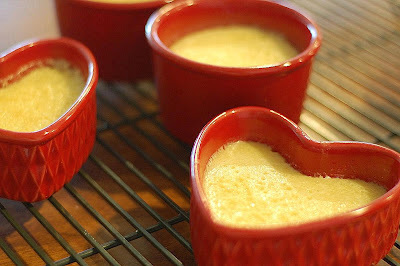 I poured the cream into buttered ramekins, placed them in a dish with a hot water bath, and baked at 325 for about 30 minutes. After the were about set, I let them cool on the counter before putting them in the fridge for an hour. At this point they were begging for whipped cream, but my little guy has a tendency to rush out of bed if he hears the KitchenAid, so I ate mine without. Wow. 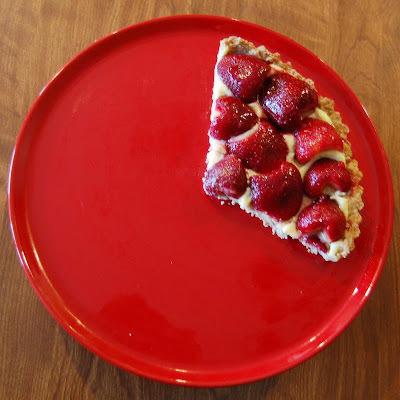 This tartest crustless tart was AMAZING. It was thick on top and a little runny on the bottom- not quite puckery lemon but enough to liven things up. You can bet I'm whipping up some cream for tomorrows breakfast. These babies deserve it. Grab the recipe at Babette's and see for yourself (my modifications follow). You can bet I'm making this with a crust in the near future. During off peak hours, of course. Getting Ready: Center a rack in the oven and preheat the oven to 325 degrees F.
Peel lemon with a vegetable peeler to remove zest. Remove all pith by peeling like an orange, then slice whole lemon in half and pull out seeds. Repeat with the rest of the lemon. Put lemons and sugar in blender and pulse, blend and scrape down sides until you have smooth mix. Add remaining filling ingredients and pulse and blend until filling is homogeneous. Rap bowl on counter several times to de-bubble filling as much as possible, and pour it into buttered ramekins placed inside a casserole dish. Set into oven and fill the dish with hot water half way up the ramekins. Bake for 30-40 minutes, until almost set. Chill, if you'd like, before serving with cream or dusting of confectioners' sugar. I'm also including my favorite recipe for refried beans. Also done in the slow cooker, these are incredibly easy and so cheap- dried beans are a bargain especially for all the nutrition they pack! They taste so good that you'll forget all about those jarred beans. I know I don't even buy jarred pinto or refried beans anymore. Combine all ingredients in the crock pot and cook on high for four hours or on low for six to eight hours. 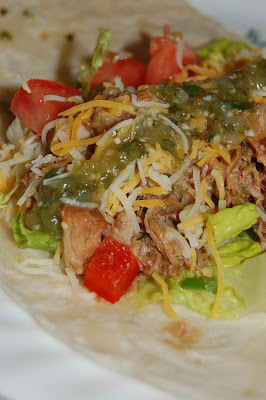 Shred pork, season to taste with salt and pepper and serve in soft flour tortillas with lettuce, tomatoes, chopped bell peppers, beans (if desired), cheese, and lime wedges. Alternate idea- omit the tortilla and serve as a salad. Put all the ingredients in a crockpot and cook on high for about 8 hours. After the beans are soft, drain, reserving the liquid. Mash beans with a potato masher or use an immersion blender to reach the desired consistency. Add liquid, a bit at a time, to desired thickness, remembering they will thicken with time. Add salt and pepper to taste and enjoy! 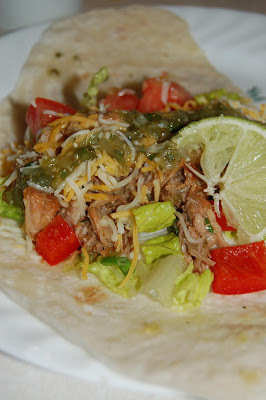 These also taste amazing with our favorite Cafe Rio copycat recipe.